Get to know our Studio! The tour gets you familiar with our studio and the creative equipment included with our hire. Our 4K video camera is also available for hire. See how others have utilised our space. Greg Page (the original Yellow Wiggle), Mike Foxall, Tim Robinson and Jason Hardy have just finished their studio hires. Here is what they had to say about their session at Green Key Studio. Riot Games Oceania and T5 Photography made excellent use of our rotunda on the green screen to introduce each of the major players at the League of Legends: 2014 Autumn Regional. Directed by Daniel James Cox, Starflight's Phasers on Stun is a fun retro nod to seventies pop videos. Filmed entirely in our studio, they were able to pull off some amazing VFXs. 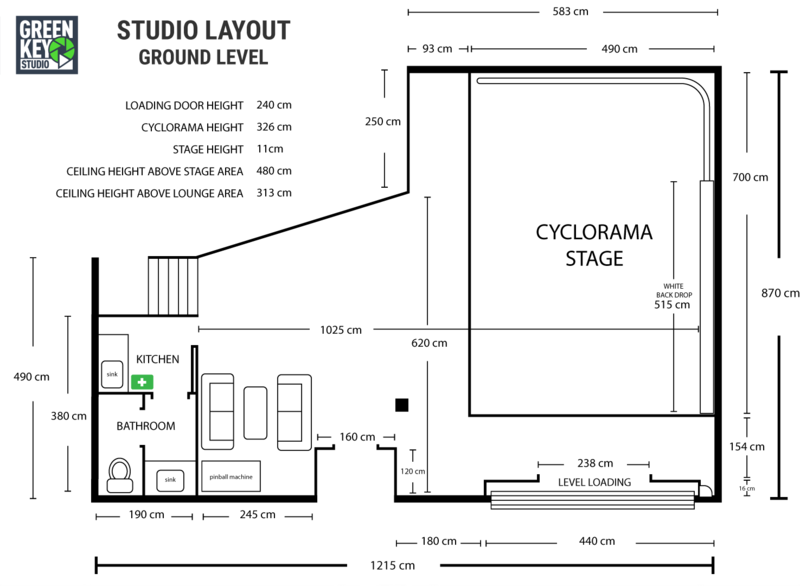 Our fully equipped studio, boasts a 7 metre wide cyclorama with many features to kick-start your creativity. For those who like shooting on white, we have a large 5 metre wide white backdrop. With the garage door opening to 238cm you can drive almost any vehicle straight onto our reinforced stage from the parking lot. It is also great for bringing in any large props and extra equipment. We include all our creative tools with studio hire, so you'll never be thinking "I sure wish I had a rotunda, smoke machine, robotic light, chroma props or bubble machine right now", because you'll have them all, including all our lights, at no extra cost. Even if you weren't considering these options before, our team members are happy to jump on-board with the creative process and suggest ideas and shots with you. Chroma keying is the act of using a particular colour to extract a matte or mask. The chroma green colour is used to get the most out of digital sensors and compression as they are more sensitive to green, where film was more sensitive to blue hence blue screen. Thankfully green is a very uncommon colour in clothing. If you do find yourself turning green at the thought of using green then we can easily pop in a white, black or blue background options. It's like working with a giant chameleon, except easier. Note that when using green your props and costumes should not have any green in them, this includes yellow and aqua which contains elements of green and can turn semi-transparent and colour shifts as the green is removed. Also it is recommended to minimise the use of transparent or reflective objects which may require extensive rotoscoping to produce quality results. 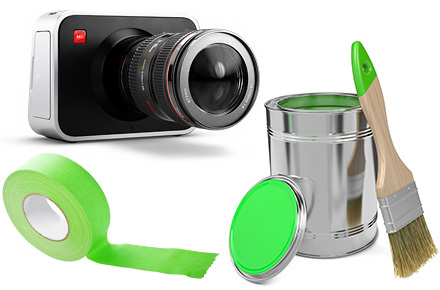 RAW photography cameras will work well against green but for video we highly recommend hiring our Blackmagic Production Camera 4K kit, RED SCARLET kit or a 4:2:2/4:4:4/RAW video camera when filming against a chromatic surface. It will save you time and money when it comes to post production. Perfect for green screen or gorgeously lit scenes, this camera is capable of recording up to 4K in resolution. 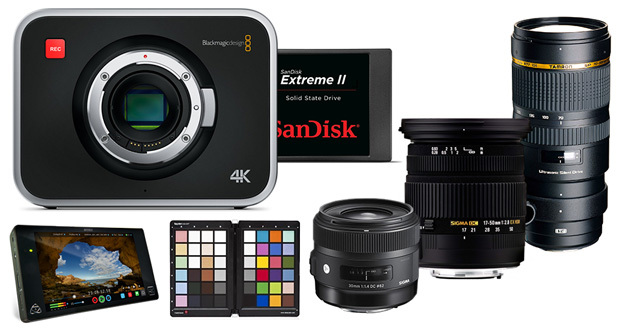 Our camera kit includes: the 4K camera, a 480GB Sandisk Extreme II SSD (records Prores for approx 6 hours at 1080p or 1.5 hours at 4K) and power supply. Lenses available on request: Sigma f1.4 30mm, Sigma f2.8 OS 17-50mm and Tamron f2.8 VC 70-200mm. Also available is the Atomos Shogun monitor and SpyderCHECKR colour chart. A USB 3.0 dock is available if required to transfer footage off the SSD and onto your hard-drive. As a Sydney based company, we help to engage and connect with your audience through our website. We started this business as a hobby and now become a successful and multi-faceted promotional video production company. Having professional and innovative team of designers, photographers and videographers, we help the businesses getting their message out through photography, video & 3D animations. As a well-known business web video in Sydney, we have produced hundreds of projects for companies, Australia-wide. 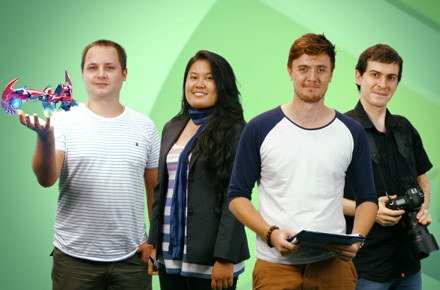 The proficiencies of our in-house team sets us apart from other Sydney based companies. With a wealth of experience in live action filming, editing, concept development and pre & post-production, we take pride in successfully taking a project from initial concept to final delivery. The end result delivers the objectives and fulfills the initial brief. Our television, web video, and corporate work have resulted in an impressive portfolio produced major brands, creative agencies, television shows and training institutions. We have pushed technological boundaries to produce imaginative and engaging videos for a range of clients. Our passion and dedication to excellence for attention to detail lead us to become one of the top companies producing music videos in Sydney. With years of experience in filmmaking process, we love every challenge and committed to producing creative and high quality work. We offer cutting edge and creative services covering corporate videos, 2D & 3D animation, promotional videos, TVS, website videos and training videos for the client. Business videos are now essential for your firm in online marketing and we have been helping many businesses enhance their credibility among viewers. To build your business community, the video is an essential tool to engage new and existing customers. Our vibrant video documentaries aimed to educate and engage the community about important community infrastructure. We make online videos share valuable information and excite the community & showcase a product or service. Our clients love working with us & some have been with us since we started our business. We have customers, who not only stay with us but are also happy to refer others. For any question, feel free to call on 0488 802 828. Get familiar with the Blackmagic camera as we take you through the controls and menus. 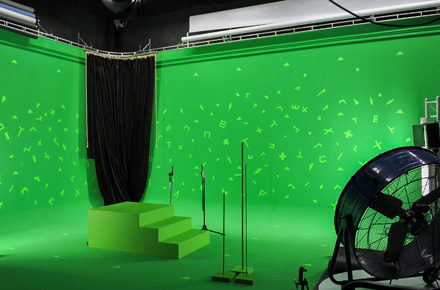 Get tips on the recommended settings for shooting on a green screen and in a studio environment. All of our creative equipment, lighting and stands are included with studio hire. For a complete equipment list download our brochure.